Producing work for a household name such as Hillarys was an exciting proposition. 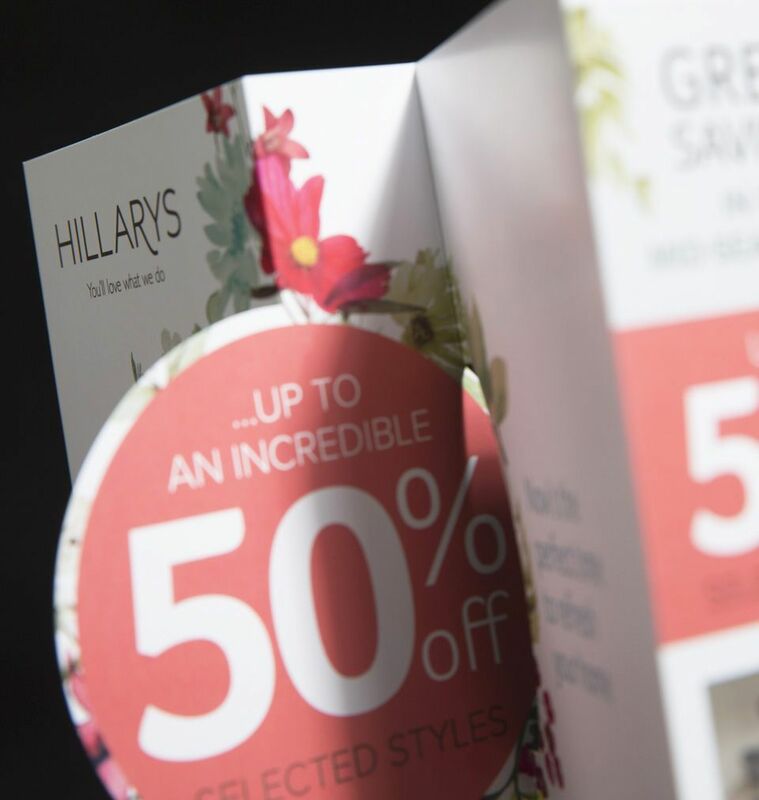 They asked us to create a dynamic direct mail piece for their Spring launch, one of the key cornerstones of their annual marketing campaign. Three specific demographics were to be targeted, so they needed one creative approach, which could be customised to address the three very distinct customer groups. Oh, and because they were going to be mailed to 300,000 homes, the design had to be cost-effective too! We began by drafting various concepts for presentation, each campaign message needed to be presented clearly but framed within a very structured visual hierarchy. The chosen concept incorporated a ‘flip’ mechanism to boost reader engagement and help place the delivery of the messaging. The complete mailing project incorporated a printed envelope, six page leaflet and accompanying ‘punch-out’ circular voucher, fitting with the theme, and involved producing three versions, each presenting different propositions for their defined audiences. The chosen concept incorporated a ‘flip’ mechanism to boost reader engagement and help pace the delivery of the messaging.